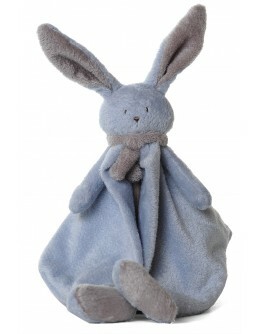 Dimpel tuttie Nina the rabbit, soft doudou and hugs of the Belgian brand Dimpel. Grote Schatten offers a wide range of soft hugs! Grote Schatten recommends therefore, when you choose to purchase for your baby a doudou or cuddle, buy one or more in reserve. This can prevent a lot of heartache later ... It is also recommended that all hugs or doudou's are washed and switched at the same time, so your little one can not distinguish. 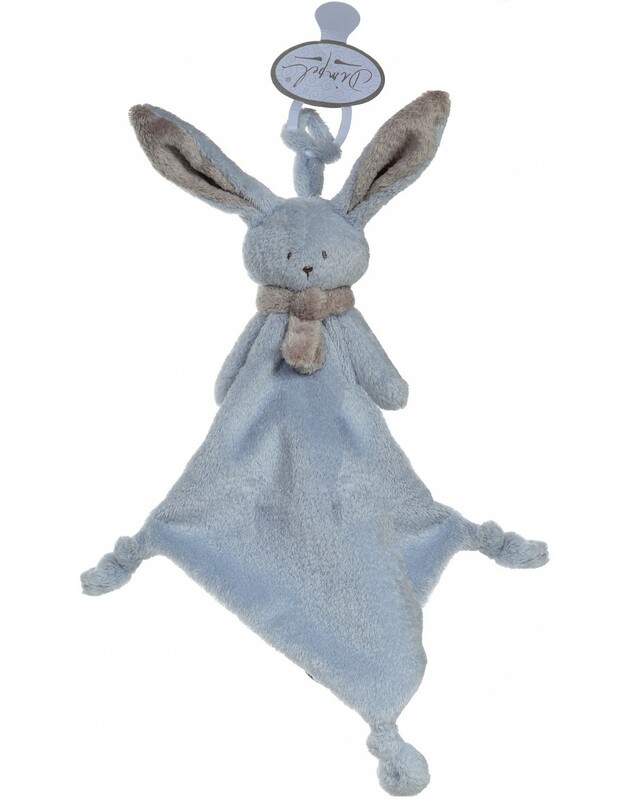 Dimpel doudou Nina the little mini doudou, tuttie in the shape of a rabbit and has a bow around the neck. This pacifier holder from the brand Dimpel is the perfect birthgift!